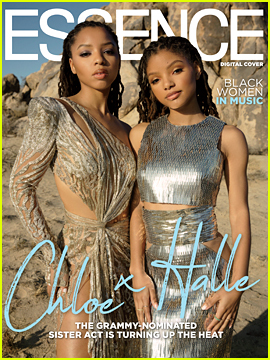 Chloe X Halle dazzle on Essence‘s very first digital cover! For more from Chloe X Halle, visit Essence.com. Chloe x Halle just shared some exciting news! The super talented sisters announced that they’ll be performing during the 2019 Grammy Awards, where they’re nominated for Best New Artist and Best Urban Contemporary Album. Other just announced artists include nominees Dua Lipa and Travis Scott as well as previous Grammy winners St. Vincent and Mark Ronson. Andra Day, Fantasia and Yolanda Adams are also set to take the stage for a touching tribute to Aretha Franklin. The Grammys will air on CBS this Sunday (February 10) and Alicia Keys is set as the host. Tune in! 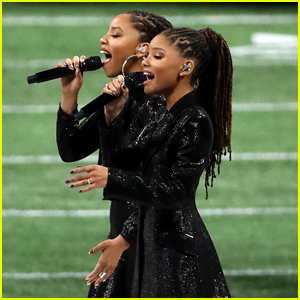 We are so, so, so impressed by Chloe x Halle‘s performance at the 2019 Super Bowl! 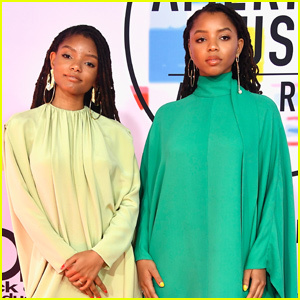 The sisters had the honor of performing the song “America the Beautiful” during the big game’s pre-show on Sunday (February 3) at Mercedes-Benz Stadium in Atlanta, Ga.
You of course know Chloe and Halle from their roles on the Freeform series Grown-ish and they’re set to have a big month thanks to their Grammy nominations. The girls are up for Best New Artist and also Best Urban Contemporary Album for The Kids Are Alright. 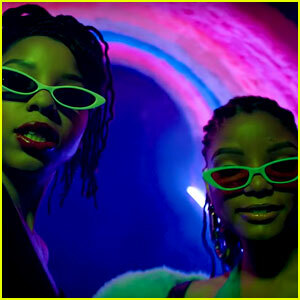 The Grammy-nominated R&B duo, made up of sisters Chloe and Halle Bailey, shared the visual with fans this week as official brand ambassadors for DreamWorks Trolls. 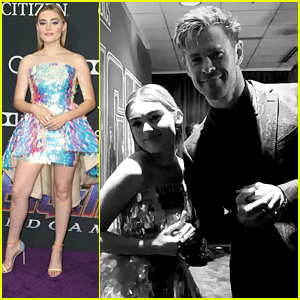 This single will serve as the Trolls’ anthem throughout 2019 and will be featured on the Netflix TV series DreamWorks Trolls: The Beat Goes On! 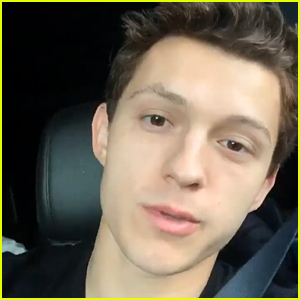 As fans of the feature film and TV series, Chloe x Halle shot the music video inside the new, immersive Trolls the Experience in New York City. Watch the colorful video below! You can also download “Shine Bright” on iTunes.